During your vacation with us at the Clarion Inn Lake Buena Vista, you’ll definitely want to plan some time to see Disney Springs™. 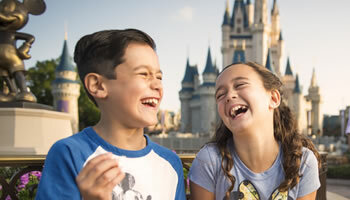 If you haven’t been before, it is another of Disney’s® entertainment masterpieces featuring excellent restaurants, first-class entertainment, and fun-filled shops—a little something for the whole family. Clarion Lake Buena Vista hotel is less than 2 miles away. During your stay with us you are close enough to make the trip anytime. Shopping: Disney Springs™ has more than 40 themed shops including the world’s largest Disney® store, an interactive Lego® store, Orlando Harley-Davidson store®, in addition to candy shops, ice cream shops, art stores…the list goes on. Entertainment: 24 movie theaters, live music, bowling, and much more. There’s a little something to keep everyone entertained. Dining: Disney Springs™ features 28 different eateries from classic theme park fare like pretzels and ice cream to world-class chef Wolfgang Puck’s® two eateries. Being one of the closest hotels to the action is just another great perk of staying with us at the Clarion Inn Lake Buena Vista. If you can pull yourself away from our comfortable guestrooms, two swimming pools, and multiple restaurants, Disney Springs™, is a great place for a family vacation day or an adult night out. Disney Springs ™ may feel like a theme park itself, but there’s more to Walt Disney World®! Purchase your park tickets online here.